The unidentifiable food in the image, which some art historians refer to as apples and onions, was not modeled on real food. Paul Cézanne painted too slowly to use food before it went rotten and instead had to use plastic foods. Paul Cézanne completed his composition Still Life with Plaster Cast in 1894 and as well as being one of the last paintings he completed in his career, it is one of his more famous still lifes. This work is often seen as one of the most radical compositions that Cézanne produced due to its abstract tendencies that heralded the coming of the Cubist movement. In Still Life with Plaster Cast there is a clear distorting of the image. A dirty white colored plaster cast of a young boy with no arms is stood on a table among some fruit. The armless plaster cast (a plaster cast of cupid) is stood next to a painting of a bowl that appears to be holding two onions. However there is a blue cloth that appears to drape down from the picture of the bowl to the table. In fact, there are two blue cloths in the painting. Cézanne was playing with the complex nature of art and reality and he enjoyed expanding true images. Cézanne's Still Life with Plaster Cast was also unusual because of its subject matter choice. Not only was it a still life diverging from reality, but it was also mixing the mystical with the ordinary. 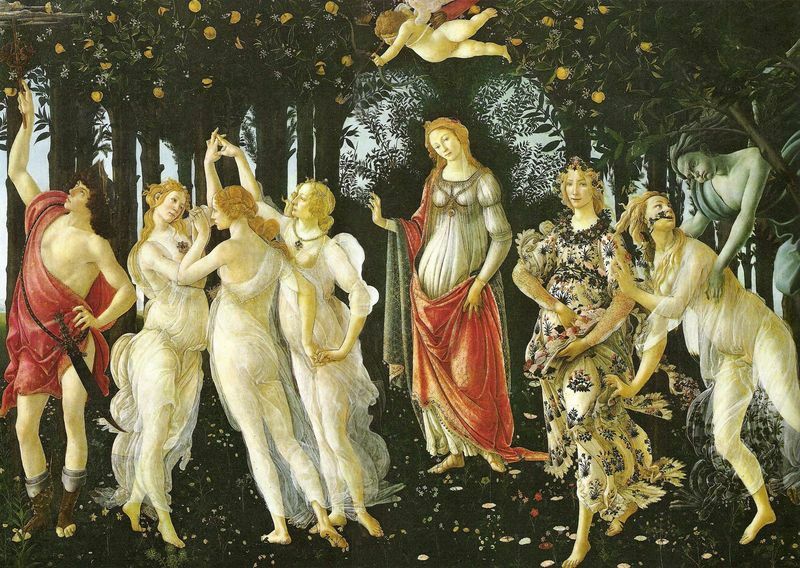 The relationship between the natural and the mystical had been dealt with before (for example in Botticelli's Primavera) but Cézanne added a new element with his abstract tendencies. After criticism and refusal to enter his works in mainstream exhibitions in 1895 Cézanne agreed with art dealer Ambroise Vollard to show his pieces in a solo exhibition. The showcase was very popular with a new audience who liked what he was doing in the studio. 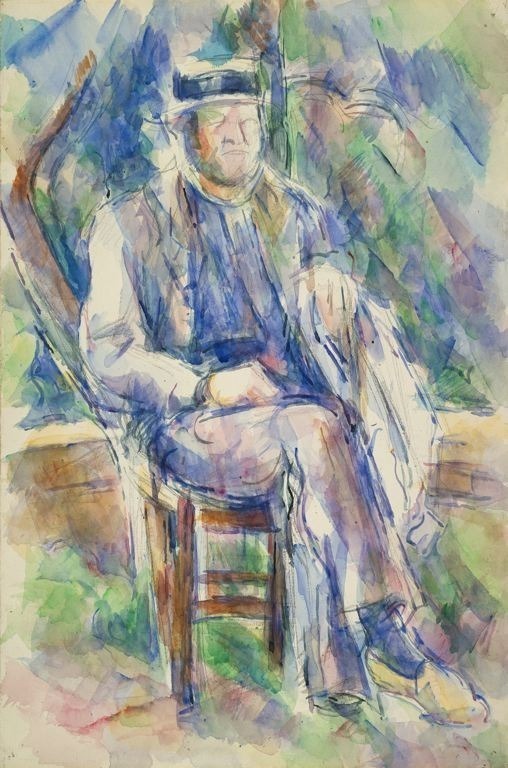 Paul Cézanne was first and foremost an original who paved the way for other modern artists. Yet, he was inspired by other painters when creating his works. Camille Pissarro was Cézanne's closest influence and in Still Life with Plaster Cast Cézanne utilized many lighter colors that he had previously steered away from. He had been inspired by Pissarro's color palette to paint his fruit looking luscious and fresh with bright greens, reds and yellows. Additionally he used light blues and dirty whites to produce the shades of the plaster cast. Paul Cézanne did not create Still Life with Plaster Cast for anything other than his own enjoyment. Hailing from a rich family he did not have to make money from his work and thus created pieces for his own satisfaction, knowing that only a few select collectors were interested in his work. 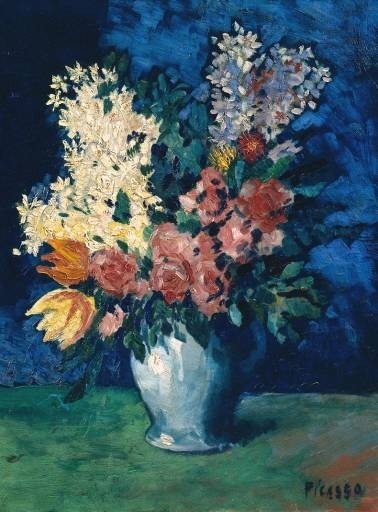 The inspiration behind Still Life with Plaster Cast was to create a piece of beauty that was unconventional in its subject matter - Cézanne did not look at his art as a static entity. The plaster cast of cupid in the center of the image grabs the viewer's attention. The position of the cupid is at odds with the objects placed behind him. Whereas the fruit bowl in the forefront is on the same plane as the cupid, the painting behind him is pointing away from him. The perspective of the painting is distorted and the picture in the backdrop appears to be closer to the floor than the table. The two bowls of fruit on the right hand side of the painting appear to be placed next to each other. However the taller bowl is from the internal painting and there are two blue cloths rather than one that reaches from the painting down to the table. The reason for this distortion is because Cézanne did not paint the composition from one position. Rather he rotated his easel around the plaster cast and fruit, capturing the image from numerous angles. Consequently their positions are not accurately represented. When Paul Cézanne was a young artist he believed that the color in his paintings should mirror his emotional state. Thus he used dark shades that represented his inner turmoil. 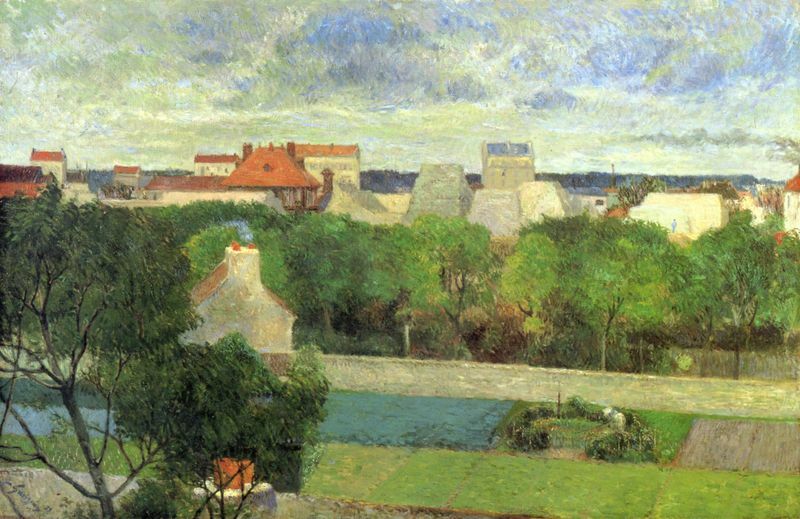 However after spending time painting with his mentor Camille Pissarro his color palette opened up considerably. Nevertheless, Cézanne was not afraid to utilize dark colors for shading. Still Life with Plaster Cast is lit from the right hand side of the canvas which can be seen from the shadows painted of cupid's right leg and the food. However the abstract elements of the painting have distorted the positioning of the shadows. 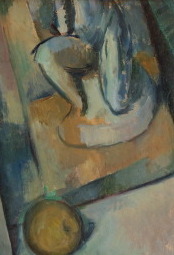 For example, the shadowing of Cupid's arm falls in a different direction to the rest of the painting. Paul Cézanne was a true believer in only painting what he saw. The tone of the painting contrasts between the mythical Cupid stood in the center of the painting and the mystery choice of foods that Paul Cézanne has chosen to paint. Apples have often been used in compositions alongside mystical figures. However what appear to be onions are an unusual choice. Thus the tone of the painting alternates between the mystical and the ordinary. Cézanne used solid brush strokes that left an obvious mark on the canvas and placed his emphasis on shapes rather than color. His canvases are not polished because he rarely finished a work. Cezanne believed in painting everything he could see, which meant he was never able to apply a last brush stroke. It also means that the fruit is unidentifiable because all Cézanne saw were different shapes and colors, which is what he built up brush stroke by brush stroke as he moved around the table. It was not until after his solo exhibition that the young art generation began to embrace Cezanne's work and modern style. His new way of working with perspective was widely admired and helped spawn the Cubist and Fauvist art movements. Still Life with Plaster Cast was praised for its intricate use of perspective. Whereas previous paintings did not portray the inner area of an artist's space Cézanne was not afraid to show his studio to everybody. He wanted to show reality in its entirety, from all angles. Critics have called Cezanne a revolutionary of his time for his original way of looking at perspective. Essentially, Cézanne changed the way artists looked at perception. He revealed to critics and other artists that reality is complex and there is no one way to see the world. 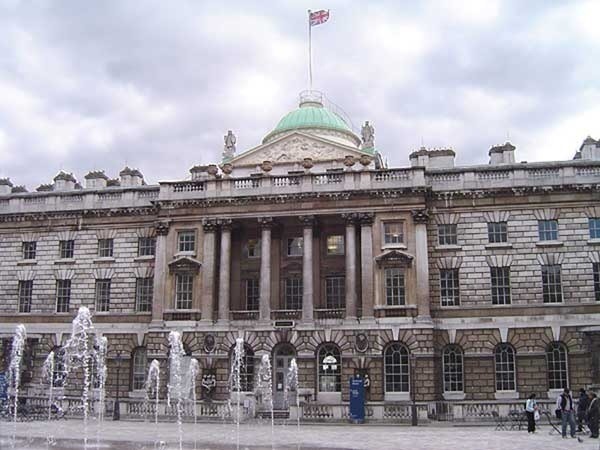 Still Life with Plaster Cast is now seen as one of his most influential works and it was eventually inherited by the Courtauld Gallery (now the Courtauld Institute of Art) in 1948. Four years before Paul Cézanne finished Still Life with Plaster Cast he worked on a piece called Pot of Primroses with Fruit. This painting was the precursor for his later piece in a number of ways; firstly the bright colors of the fruits are similar and the vivid yellows and reds are almost identical. Throughout his career Paul Cézanne experimented with analyzing shapes and breaking them down in his paintings. He was a firm believer that everything could be painted as different shapes that create larger images. The bright color palette and shading in Flowers is reminiscent of Still Life with Plaster Cast. Picasso was also looking at objects as shapes that can be broken down and here it can be seen to a small degree, although in many of his later works he takes this affect to a much greater level. Paul Cézanne was born in Aix-en-Provence, France, to wealthy parents who wanted him to become a banker or a lawyer rather than an artist. However, he pursued his chosen career and his parents begrudgingly supported him. 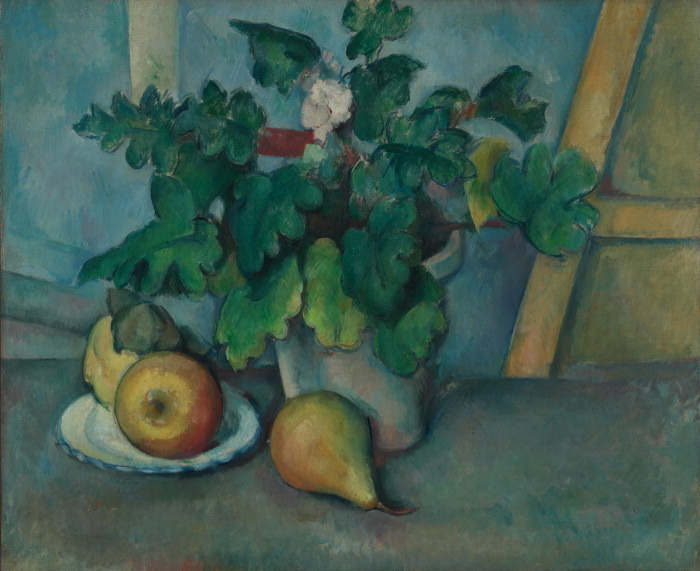 Paul Cézanne failed to enter into his art school of choice due to his controversial methods, which can be seen in Still Life with Plaster Cast. He spent his time moving between Paris and Aix-en-Provence and throughout his life rarely showed his work. However he created Still Life with Plaster Cast one year before his first solo exhibition, which was a radical success. Paul Cézanne died in 1906 a popular artist. Paul Cézanne was a hostile artist who did not wish to belong to any particular art movement. However, he is now referred to as a Post-Impressionist. Cézanne attempted to show his works with the Impressionists twice, but after the critical reception of his paintings he rejected their company. Still Life with Plaster Cast in a Post-Impressionist piece because when Cézanne created the piece he rejected everything that previous art movements had been doing.